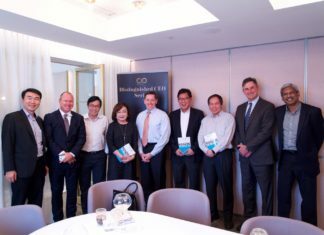 On the 24th of May, CIO Academy Asia (CIOAA) partnered with Google Cloud to host technology leaders for a roundtable discussion at the JW Marriott Hotel Jakarta. Digital Leadership – both a mindset and a skill that tech leaders should possess today, sharpens the competitive edge in organisations by building agility, developing a deeper understanding of customer journeys, and leveraging data analytics as the eyes and ears of the business. With this, P.Ramakrishna, CEO, CIO Academy Asia, opened the discussion with some 15 CIOs who gathered just before “buka puasa”, which translates “break-fast” during the Ramadhan season. In a world ruled by mobile devices, smart sensors and social media networks, organisations have amassed vast quantities of data. It didn’t take long for government agencies and companies to realise its strategic importance to improving customer experiences and maximizing capital returns. This is especially true in Indonesia. With a population close to 270M, this growing metropolis, close to 45 times the size of Singapore, sports a 50% mobile penetration rate. To put things into perspective, every citizen who owns a bank account in Indonesia is likely owns a smart phone as well! This totally changes the way that citizens will engage the government and local businesses! 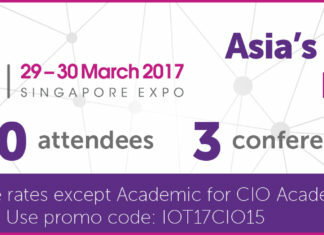 Enabling digital transformation at this scale is less of a challenge of deep pockets but rather a deep-learning one! 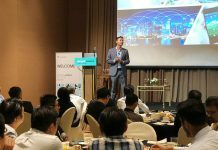 Peeling the layers on data analytics and artificial intelligence is Jay Jenkins, Head of Customer Engineering, Southeast Asia, Google Cloud. A classic success use-case cited by Jay was the Global Fishing Watch project founded by Google. Regulators in Indonesia have historically struggled with illegal fishing, however, a real-time database of fishing activity provides insights on the fishing techniques that each fishing vessel has employed and is correlated with the vessel’s registered licenses. With the help of Google’s Machine Learning (ML) tools, it only needed a lean team to analyse data from 15 million ships real-time! Indonesia has now cut illegal fishing by half! At the infrastructure layer alone, these challenges significantly raise the risk of failure in traditional data warehousing implementations to 60%. As the volume of data grows, more resources from support staff to scale storage and compute capacity are invested, often without corresponding business impact. IT teams also run the risk of accumulating technical debt as new apps and services are integrated with systems. Google Cloud Platform (GCP) offers an alternative. Defined by its modus operandi: “focus on running, not building”, organisations can focus on generating actionable insights simply by deciding on a tool, starting a service, and scale automatically. Contrary to the orthodox way of processing batch and streaming data separately, Jay recommended that data should be processed as a unified model to produce quicker and more effective outcomes. 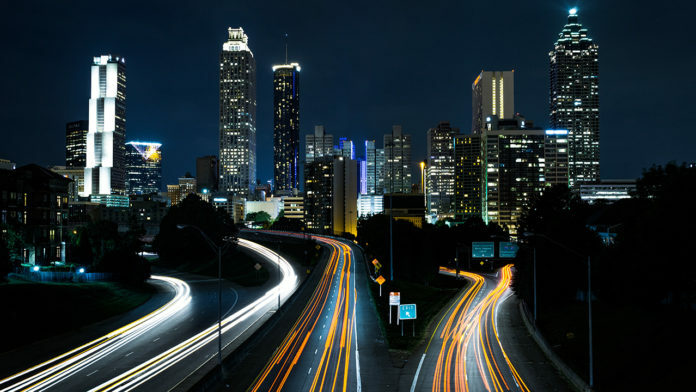 By decoupling data analytics workloads from data models enable queries on-demand, regardless where the relevant data may be hosted. Jay closed his sharing with a case study on Spotify, an entertainment service specializing in music, video and podcast streaming. Spotify could testify to the frustration of managing infrastructure at scale – constant fire-fighting and time-consuming batch processing was almost a daily affair before the company partnered GCP. Today, Spotify takes advantage of GCP’s real-time processing and monitoring tools, and leverages machine learning tools such as GCP’s popular TensorFlow platform to tailor song suggestions based on each subscriber’s preferences. As Indonesia’s largest taxi company boasting a 21,000 unit strong fleet in Jakarta alone, efficiency is the name of the game to sustain Blue Bird’s margins, considering the price-sensitive customers the company serves. One of the first things Andeka Putra, Blue Bird’s Chief Information Officer, observed, was the decade’s worth of data archived within its data centre, which was relatively untouched. This data has been accumulating from an existing device in every Blue Bird Taxi which measured just about all that could be measured – speed at any time, meter activity, even braking activity. Seeing this as an opportunity to realise new productivity gains from the data archive, Andeka kick-started Blue Bird’s data analytics journey. Transforming a company with legacy systems supporting live workloads presented daunting challenges. Firstly, an overwhelming number of data sources made it difficult to identify a single source of truth. While SAP formed Blue Bird’s technology backbone, there were about 100 applications that each had its own database. Secondly, some workloads were deployed on proprietary technology built by vendors that did not exist anymore and lastly, Andeka did not have a good reference benchmark for estimating capacity requirements similar to Blue Bird’s scale of operations. With the help of GCP’s suite of Cloud services, Andeka could develop Blue Bird’s own data pipelines focus on driving real-time analytics. An interesting problem statement highlighted was that 75% of all Blue Bird trips are street hailed, with some trips directing cab drivers to provinces many hours’ drive away, where they may not be familiar. Leveraging the fleets’ sensor systems that are slated for an upgrade next year, Andeka hopes to apply machine learning capabilities which will aid in predicting destinations, facilitate trip planning and optimise fleet management. Safety can also be enhanced with the same tools and techniques, in which sensors can detect and predict when drivers may be falling asleep and trigger a set of alarms to keep both the driver and his passengers safe. The session concluded with a panel discussion moderated by Rama. Joining Andeka and Jay on the panel was Setiaji, Head, Jakarta Smart City and Rama Raditya, Co-founder and CEO, Qlue. Smart City Jakarta was launched in 2014 under the Department of Communication, Informatics, and Public Relations under Jakarta Capital City Government to operationalize smart city capabilities in Jakarta. Setiaji noted before he could jump on any analytics work, Jakarta Smart City had to figure out how to manage data at scale. Jakarta alone is already 10 million strong. Setiaji distilled his strategy into three phases. Phase 1: Data collection – Choose an infrastructure platform to manage a large volume of data whilst working within the means of the public service’s prudent investment budget. Phase 3: “City 4.0” – a one-stop-shop to enable industry development partnerships between private sector companies and government agencies. Even before Qlue was founded, Raditya related his experiences working with Google map APIs, amongst others, to generate insights about Jakarta’s city infrastructure through its proprietary dashboard app. Today, Qlue is established in partnership with Jakarta Smart City and is already deployed across 60 cities. It’s role? To provide a mobile app for citizens to take photos and report damaged infrastructure or lapses in certain public services like sanitation. This allows relevant public services to respond within 3 days of receiving the complaint which helps in improving citizen services. The same insights are utilized by Jakarta Smart City for policy planning. Jay believes that a key issue with managing large and disparate datasets today is that storage and computing are put together. A cloud architect could instead separate the two, allowing himself to work horizontally across all data instead of being limited to working vertically. This gives companies the freedom to explore such vast data resources without worrying if they will upset the transactional or operational databases. 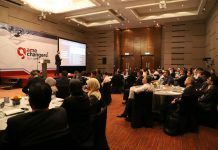 Kristiono Setyadi, CTO at the Jakarta Post, highlighted the stringent data privacy laws Indonesia has and enquired how organisations can still be compliance-ready as the storage and usage of data grows in complexity. Andeka emphasized the need for regular three-way communication between the vendors, customers, and regulators to maintain transparency and build trust with the company’s stakeholders. 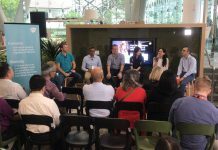 The panel ultimately agreed that organisations should view their investments in data analytics as a strategic asset and champion tech partnerships to manage costs and accelerate business outcomes in their digital transformation journeys.